I checked this one out on the recommendation of my friend Gerry, and I’m glad I did so. It’s hard to put in words what Berberian Sound Studio is about, but it is without a doubt one of the most singular experiences I’ve ever had watching a film. Set in the 70’s, the story concerns a mild-mannered British sound designer (Toby Jones) who is hired by an Italian studio to work on a grand guignol horror flick. But as the plot progresses, the line between fact and fiction starts to blur, to the point where it’s no longer clear what’s really happening. Best of all? We never see the movie that’s being produced. We only hear it… and it’s scary. 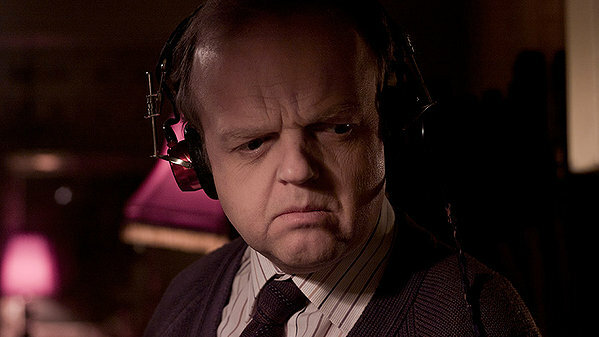 Berberian Sound Studio is an eerie journey into the sound of madness.